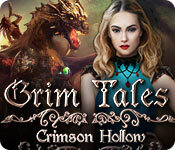 Grim Tales: Crimson Hollow is rated 3.9 out of 5 by 15. Rated 3 out of 5 by DKIRKNZ from Felt like Work The main point of this game seems to be remembering where you saw that particular shaped key hole or niche. A long time was spent trudging around looking for the corresponding piece. The time travel could have been fun, but it was used as a different room, rather than a plot device. Shame really. 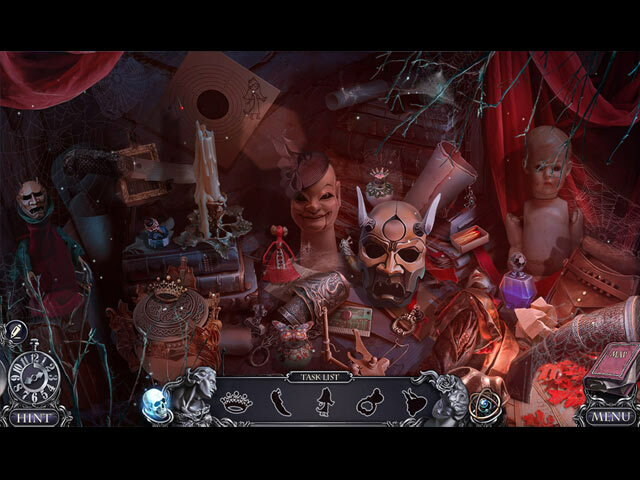 Rated 3 out of 5 by bessiegirl from found it awkward Although this game had very good animations, voice overs and graphics I found it to be a very awkward game to play. It had several game play options to chose from and I chose custom because I could set the hint and skip to recharge very quickly....and that was a good thing in this game. The map was totally useless to me. It only displayed my position and areas that there was "no activity". Even though the map key indicated a ? would display "something to do", it never did. I used the hint, which was also a transporter to get around the game...which was faster than trying to figure out the map. I found the mini games tedious and the instructions not clear so I skipped almost all of them. HOS were a combination of morphing and list and often too dark so you found yourself clicking in a dark hole to find an object. 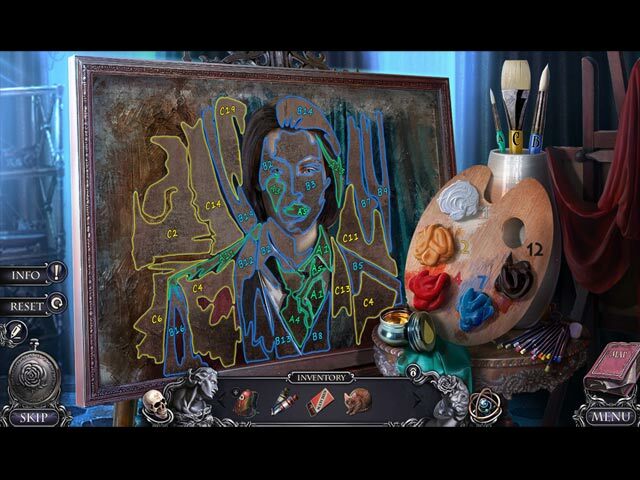 Story was cumbersome with strong associations to the "Picture of Dorian Grey" with a lot of weird twists to it. I did get a bit bored. I like the Grim Tales series, but was a bit disappointed with this one. Rated 3 out of 5 by PATinPNS from Just Another Version of the Same Thing This is posted after playing the entire game. I have several games from this series, and after playing the demo I thought, well this might just be a little different. It wasn't. Started off really well, but then settled into the same old stuff we have been given here lately. Ghosts to fight, demons to overcome and good ol' daddy is back to help and the Blacks to save... again... yawn. The graphics were well done. It starts out a bit dark, but then colors up, then darkens, then color. Good combination. Sound, including the music and voice overs, was excellent. 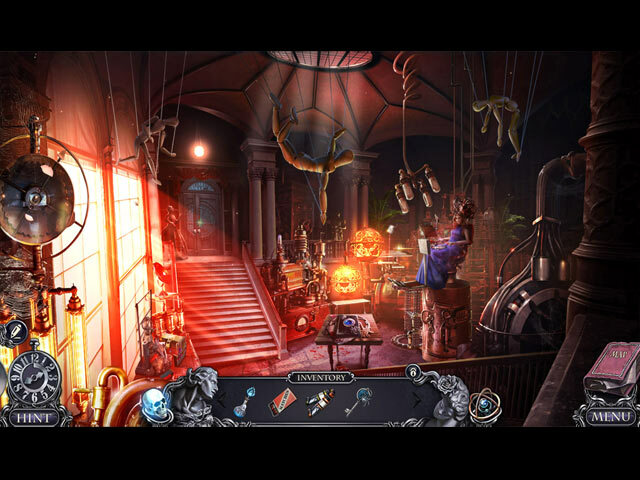 Hidden objects were varied which was nice. From the list to silhouettes to morphing, to interactive. I always use the tutorial and I'm glad I did, because toward the end of the game there was something added I would have never figured out. The mini games were mostly beyond my patience level or I couldn't figure out what to do. I did perform several of them, but they were really easy, like painting a picture, unlocking chains and such like that. The rest, I was glad I had the custom setting so I could skip and move on. The interactive map was a big help, because not only do you have things to do in the present, you have to switch to the past, but only in certain places, to continue the quest. If the map didn't show something to do in one time, you needed to remember where the place was you could switch, go there and head for the other world. Kind of confusing, but I made it. Story was well written and had continuity. My problem with this game was the theme. I'm really tire of it and looking for a break. Had I not been inundated with ghosts, witches and goblins which seems like forever, I would have liked this game much much better. If you aren't tired of the this theme or enjoy it, then you'll love this one. Give the demo a try and see how you like it. Rated 1 out of 5 by emeraldorchid from Four and a half stars, Really? This is one of the worst games I have ever played. I love fantasy and magic story based games, this one went way beyond stupid with the story line. I won't go into detail as I am not one to give spoilers no matter how much I hated a game. I love a good story no matter how far fetched it is, just give me consistancy. Twists and turns are one thing, especially if done right. Total back flips with no reason are just very poor writing. If you are looking for a good story avoid this one, it fails miserably.